Updated March 2017: KITCHEN REBUILD COMPLETED! Hooray! The long-awaited kitchen time-warp from 1950s is complete! Demolition began in September. It will enable us to nourish members and our community for decades to come, staying busy with weekly youth dinners, Wednesday night dinners, cooking for Greensboro Urban Ministry and many other events. 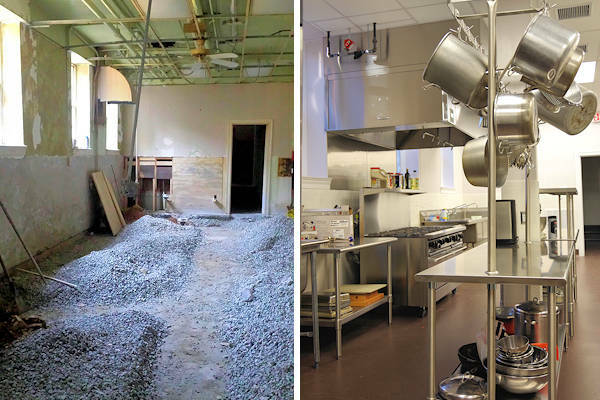 The first phase of kitchen upgrades were made a few years back when the elevator was installed—including adding the beverage center with icemaker, tea and coffee makers, along with enlarging the doorway and serving windows. A new freezer was also purchased so we could buy more in bulk. This extensive rebuild cost about $205,000. Why so much? Of that, about 3/4 goes toward demolition and construction. The most expensive pieces are the waterproofing, electrical and plumbing –totaling $50,000. Other big ticket items include the complex range exhaust system with fire suppression, dedicated HVAC, flooring and ceiling. 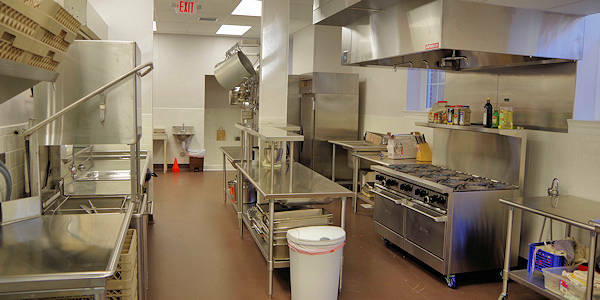 The remainder covers commercial equipment including a Hobart dishwasher, on-demand hot water, stainless steel shelves, dish carts (reduce paper plate waste) and work tables. 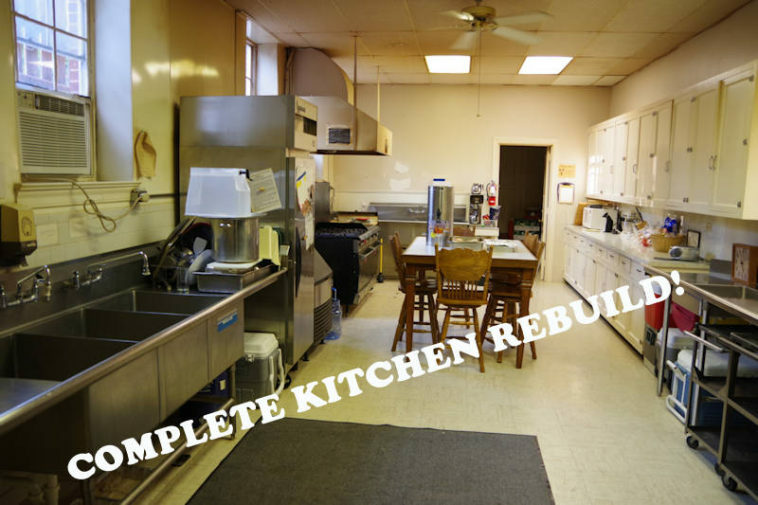 All of the funds for the kitchen rebuild will be raised in 2016-2017 via your generous donations, separate from our regular offering for the general budget. Check/Cash: Use the “Access for All” envelopes or mark your check on the memo line. Online: Set up bill pay through your bank or donate on church website with credit card. Your donations will be included in your church year-end giving statement for taxes. *Total includes a recent $5,000 donation in honor of GUM cookers & servers! Thanks to the Kitchen Construction team P.J. Stocks, Lisa Shortt and Adam Team! We kicked off our “Access for All” capital campaign in Fall 2011 – and many of us made pledges to be paid through 2016 for four projects at our building. As with any other renovation project on a building with some age, there are always changes in plans and costs as you proceed. Great news! Three projects have been completed and paid for thanks to your campaign donations. THANK YOU! Watch video below for a look at the kitchen! You can help in many ways. We are so lucky to have some extremely bright and talented members that volunteer many hours to research, plan and supervise this work. In addition to saving the church thousands of dollars, these members make sure the job is done right for our future generations (not just a temporary fix). So please thank these volunteers, pray for them and don’t be bashful about offering your talents to help us in the planning and completion of these projects to provide Assess for All.